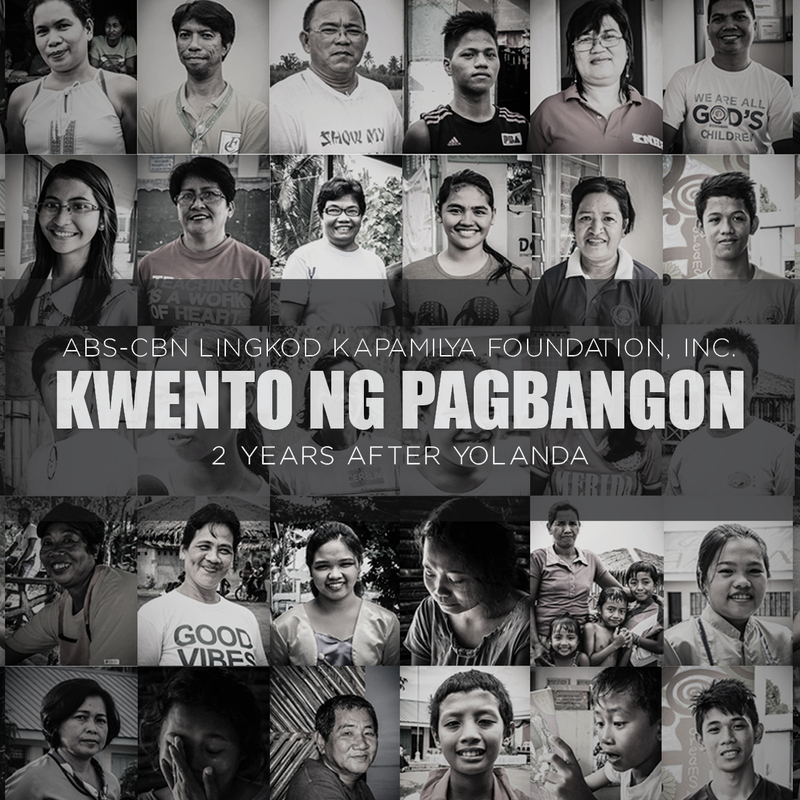 ­I can only be grateful for the opportunity to be part of the team in commemorating the 2nd year of Yolanda. I came in the picture a little late; but I felt that I had to do something. In my own little way, I felt that it needs to be big. It needs to be personal and really from the heart. The survivors and victims deserve to be remembered well. I had 2 days to put this e-book together; and even with the tightest deadline, my heart is ecstatic to finish it because they deserve it. They deserve no less than a hundred percent of passionate dedication to be remembered. 2 years ago I was watching the news in the comforts of our home when Yolanda happened. I knew that we'd be busy with the relief operations right after but I never realized the enormity of it. On the other end of the tragedy came the spirit of solidarity. It is undeniable that the disaster brought and proved the Filipinos' strength in adversity. Looking back I recall, people were coming in and out of the PBB Hall where we were receiving relief goods. There were endless nights of military men, civilians, even children and people from different walks of life coming together for one purpose - to extend their help in whatever way they can. The traffic along Mother Ignacia Avenue was unimaginable; but none of the people in their vehicle was seen pissed rather optimistic that they can share something, anything, even their patience to wait for their turn to drop off their donations. At some point I've seen people getting off their vehicle stuck in traffic to be able to help us carry the sacks of rice we were lifting from a spot to another. It still brings tears to my eyes even up to this moment that I am writing about it. The experience convinced me that compassion is still one of humanity's best attributes. I have seen ladies, children and people you won't imagine to go down and dirty would roll up their sleeves and pick up a box of relief to help in the operation. I saw it as a beautiful picture of Bayanihan, more than anything. The energy in the place was just incredibly overwhelming; and I am thankful to be given that opportunity, at that moment, to help in my own little way. My Mama Becca passed away back in 2008. Years have passed but there is not a single day that I do not think about her. It gets bearable in time; but it sure is forever remembered every day. Losing a loved one is hard. 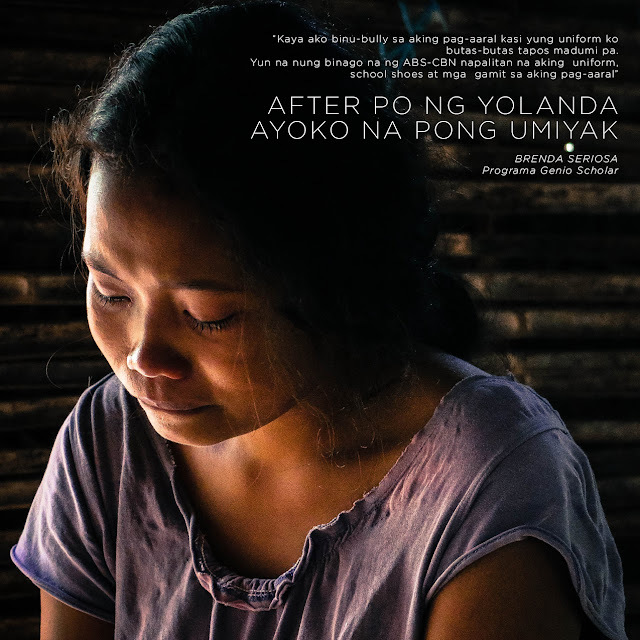 And it is surely inconceivable how the survivors of Yolanda get by each day trying to forget the tragedy; yet, at the same time, keeping the memories of their lost loved ones alive. The strength and resiliency of the people is truly inspiring. As I was trying to beat the deadline of this e-book, I got caught up reading the stories shared by the survivors in the "Mukha ng Pagbangon" series. I was teary eyed and my heart was just filled with gratitude with the spirit of optimism and resilience. The stories shared by these people will forever change me and the way I see life and humanity. 2 years after Yolanda, the hopeful spirit emanates through their beautiful portraits. Their heart and energy is simply infectious and I am in high hopes that they would know they will never be forgotten. Life goes on and the world continues to revolve. As we go through our lives day by day I encourage you to light the fire in your heart with more compassion and love for others.